Read the Socially Powerful Blog for all the latest marketing campaign and industry news, views, opinions and insights. 2018 was a great year for tech, and 2019 is looking to continue that trend and get even better. We wanted to look back at the best technology influencers of 2018 in order to see what might be coming up for technology influencers in 2019! Lewis Hilsenteger describes his Youtube channel as ‘where products get naked’, and shares content with 13.5 million subscribers, and 1.8 million followers on Instagram. Lewis went viral in 2016 after a video emerged of him bending a brand new iPhone 6 with his bare hands, and his channel grew, where he reviews the newest and coolest tech products. 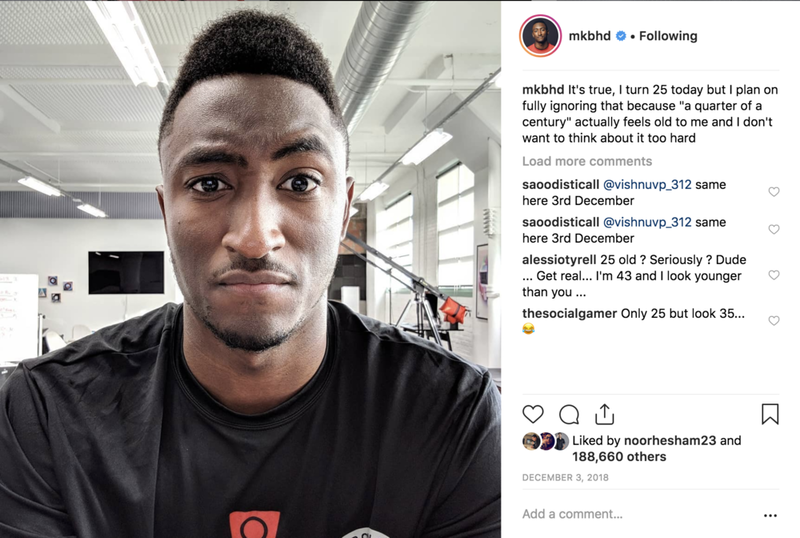 In 2013, Vic Gundotra expressed that Marques Brownlee was "the best technology reviewer on the planet right now", and since then, he has gone from strength to strength, building up his channel and his brand. His Youtube channel, which has over 7 million subscribers, is best known for its smartphone reviews, and explanation of new products. Marques also has 1.7 million followers on his Instagram page, where he interacts with his followers, asking them what they want to see. Austin Evans is known for his channel that features a little bit of everything and all things tech. Whether you are looking for gaming or PC reviews, or you want to know more about the latest smartphone, then his channel is great. Over the 12 years that he’s been on the platform, Austin has amassed 3.5 million subscribers, and more recently, 419k followers followers on Instagram. We’re looking forward to seeing what technology is released and reviewed in 2019, and we’ll be watching out to see if our top 3 tech influencers changes throughout 2019!